From the all of us at Fire Up Video and Fire Up Creative, we would like to thank all of those we had the chance to partner with in 2018, and look forward to seeing you all again in 2019! We are phasing out our FireFly screen and adding a second FireFly SS HD screen to our lineup. This will put our fleet at four mobile screens, including the two FireFly SS screens and the two larger DragonFly screens. We upgraded one of our original FireFly screens this past winter, and everyone was so happy with the results we decided we needed to match that with a second SS screen. The FireFly SS screen is 20% larger than the original FireFly, and with more than four times the resolution, it will provide an incredibly clear and crisp picture. The SS upgrade also adds a large control room in the front of the trailer, allowing us to run the entire show from inside our trailer. We always want to provide our customers with the best quality products and services, and this improved screen will help us do just that. Stay tuned over the next few months for more information on the completion of the second SS screen. We are thrilled to be adding another member to the Fire Up Team. We would like to welcome Zack Vaughan, starting full time with Fire Up Video and Fire Up Creative January15, 2019. Zack comes to us from the tiny town of Stafford, NY, and has previously worked in the LED industry for eight years, on both mobile and modular screens. We are excited for Zack to be a part of the team, and can’t wait for everything he brings. 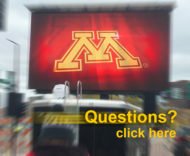 Fire Up Video provides Jumbotron LED screens for events across the Midwest in states such as Wisconsin, Illinois, Michigan, Indiana, Ohio, Tennessee, Kentucky, Missouri, Iowa, Minnesota, North Dakota, South Dakota, Kansas, Colorado, Nebraska, and more. 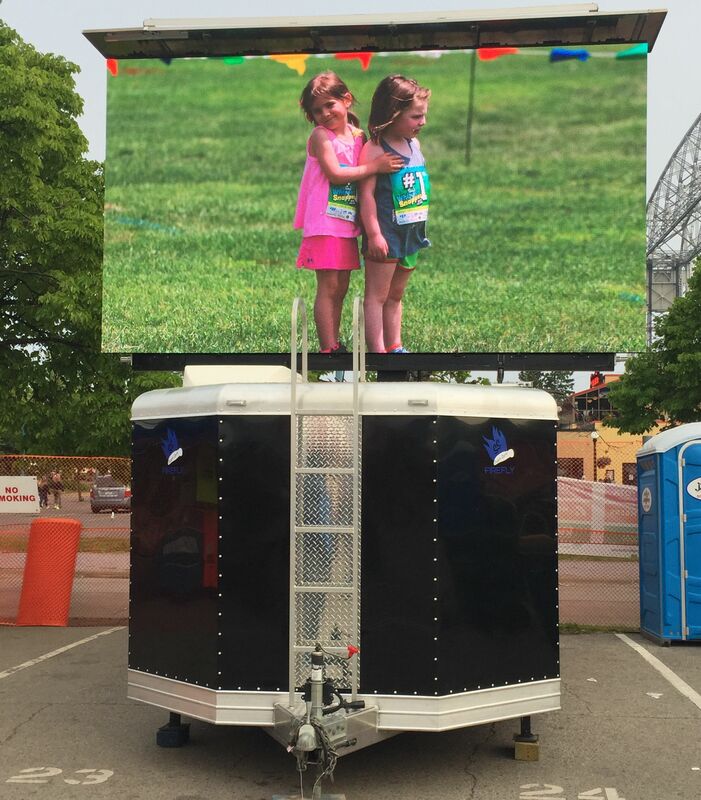 For more information on video wall rentals, please contact us at 844-533-8848 or baum3@earthlink.net.